I'm running virt-manager on a standard Ubuntu 17.10 system. In Proxmox, the same general configuration (with ballooning enabled) would allocate 8GB of the host but the guest would have roughly 1-2GB used out of 16GB instead of this. This is not my first QEMU VM, but the only one outside of Proxmox (which I'm assuming does some extra stuff that virt-manager doesn't). Hardly anything is running on the host. 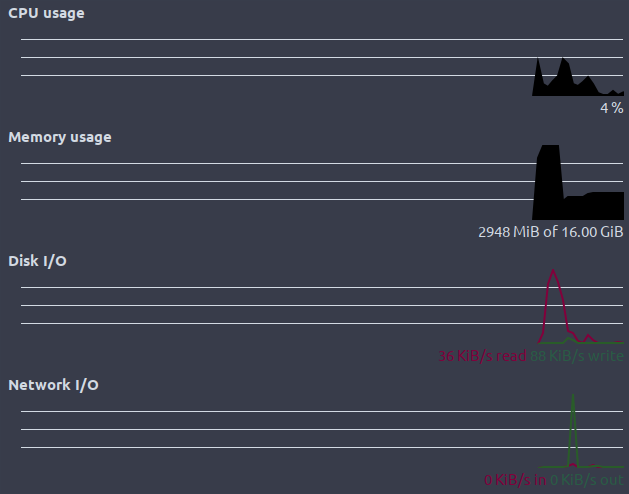 It looks like the entire 16GB is getting claimed but simultaneously most of that memory is inaccessible to the guest. Not the answer you're looking for? Browse other questions tagged virtual-machine kvm qemu virtual-memory or ask your own question.